Down the borehole, you can’t always predict when or how things will go wrong. AMC’s patent pending Borehole Optimisation System (AMC BOS™) anticipates fluid loss, lost circulation and unstable zones, even in the most difficult conditions – making operations smoother and more predictable. The AMC BOS™ comprises the AMC BOS UNIT™ an in-hole lubricating and casing while drilling tool, and AMC BOS FIX™ a rapid fill lubricating grout. 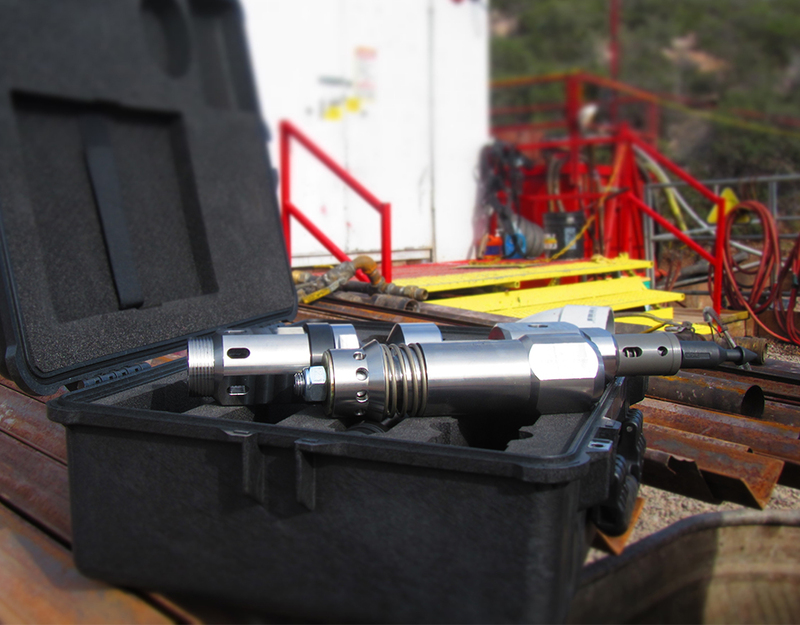 The AMC BOS™ is a proactive solution combating fluid losses, borehole instability and torque, by delivering a measured amount of AMC BOS FIX™ at regular intervals to the bottom of the drill string and up the annulus. The fluid reacts instantly with borehole fluids, permeating and sealing fractures, providing a thin but robust lubristic membrane to the borehole wall. 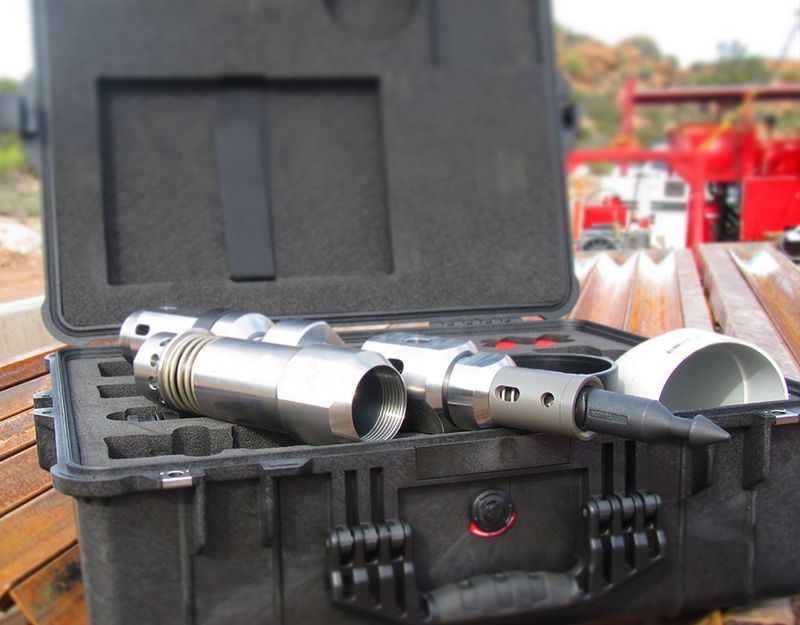 Unlike reactively using traditional methods or using other products, the AMC BOS™ is a preventative measure which can significantly improve diamond drilling productivity, at rig safety, reduce environmental impact and lower overall operational costs. “In all my time drilling at this site, I have never witnessed a product do what the AMC BOS™ had done to improve drilling and lost circulation conditions. AMC BOS FIX™ can be injected into high pressure, high temperature, wet or dry environments. The fluid only activates when coming into contact with moisture, ensuring it is placed exactly where it is required and does not contaminate the core sample or the interior of the core barrel if used correctly. The unit takes less than 5 minutes to set up or refill, which can be done at any time during the drill shift, without interruption. 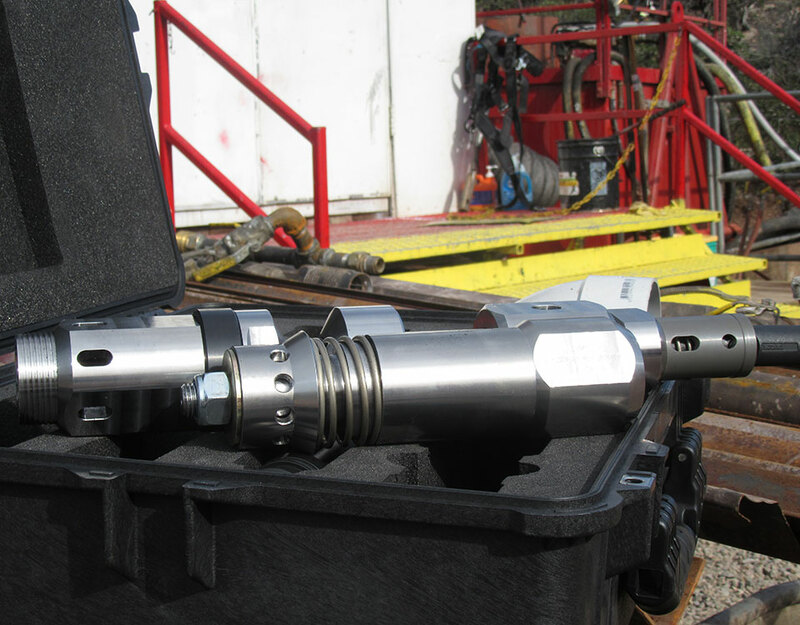 Regular injections of AMC BOS FIX™ to the bottom of the drill string and up the annulus continually seals natural fractures and fissures, to stabilise the borehole, reduce down hole losses and occurrence of lost circulation. Traditionally, LCMs are the first measure used to aid fluid losses. Depending on circumstances, LCM effectiveness may vary, potentially compromising the borehole annulus, causing stuck pipe, and resulting in unwanted rod tripping. In cases of instability, metal casing may need to be applied, which requires unwanted rod trips. The AMC BOS™ creates a continuous and flexible type of casing to assist with loose, unconsolidated, broken, fractures, caving, sloughing, swelling, high friction or washout zones. Drilling blindly may also be a choice for drillers who experience ineffective products or need to reach certain targets. Without treatment, reaming through unstable zones will increase borehole torque, rod trips, increase fluid consumption, risk prematurely worn out bits and reamers, collapse, contamination, stuck drill pipe, risk of injury and reduce ROP. Cementing/grouting can take up to 48 hours, can be very costly, and introduces increased rod tripping with only a limited success rate of 50%. Consequences of cementing/grouting can far outweigh the process itself, including safety risk (chemical handling, manual handling and slip and trip hazards), rig downtime and increased costs such as vacuum trucks and consumables. With a proactive approach, the AMC BOS™ is a less risky alternative to variable or ineffective methods for fluid loss, borehole instability or torque control. Please note: This product may be subject to availability in your country. Several factors will dictate the most appropriate concentration rate. Please contact your nearest AMC representative for optimum results. Reduces impact to local water supply and risk of contamination. The MARSH FUNNEL is an instrument used to measure drilling fluid viscosity, commonly used with the AMC MEASURING CUP. The MARSH FUNNEL is molded from a tough, durable plastic that resists breaking or cracking. A brass orifice assures consistency in all readings. pH PAPERS (PAPEL PH) measure the acidity or alkalinity of drilling fluids.